I love Valentines Day. And I love making cards. I love sending letters. And I love a good girls’ night out! 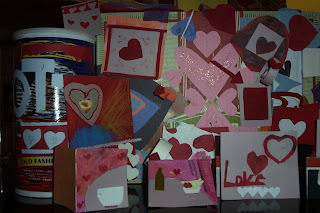 So what better way to celebrate all of these things than with a Valentines Girls’ Craft Night out!!! If you’re in Austin, come join me on Saturday February 4th from 4:30pm-9:30pm in South Austin at a beautiful place called the Writing Barn. We’ll craft and stitch and stamp and fold and collage. I’ll have writing prompts full of love and we’ll eat and drink whilst we craft and talk of love and many other splendored things.